On Windows 8 Pro, Windows 8 Enterprise, and Windows Server 2012 server systems, when the SAS® Deployment Wizard attempts to install .NET Framework 3.5 during the System Requirements phase, a failure might occur. 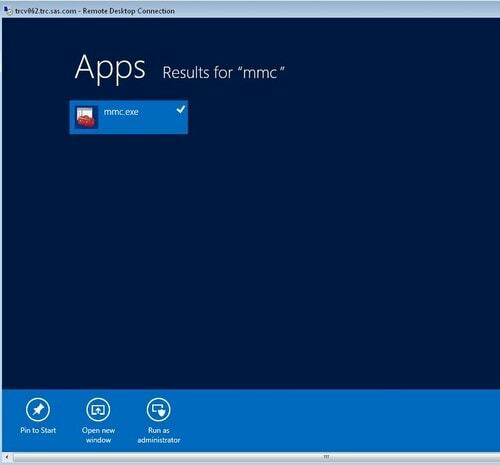 Activate the Windows Start screen and then enter mmc to activate the application search. 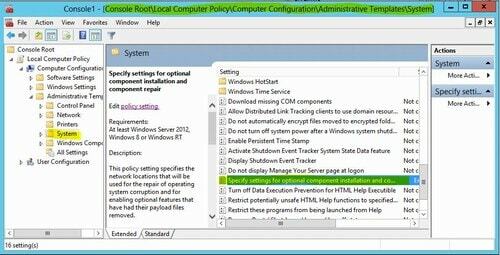 Select the mmc.exe application and click Run as administrator to start the Microsoft Management Console. Select File ► Add/Remove Snap-in. 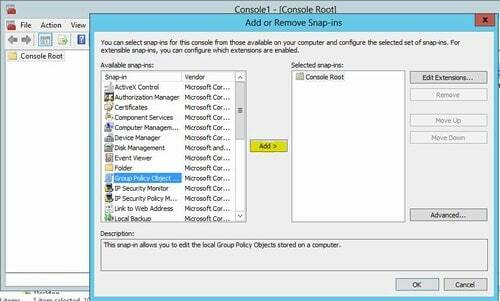 Select Group Policy Object from the Available snap-ins list in the left pane. Click Add > to move your selection over to the Selected snap-ins list on the right. 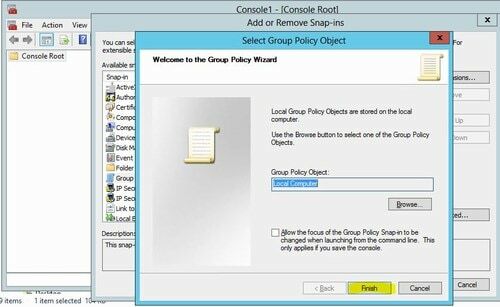 On the Select Group Policy Object screen, click Finish. Click OK to close the Add or Remove Snap-ins window. In the left panel, expand Computer Configuration ► Administrative Templates. 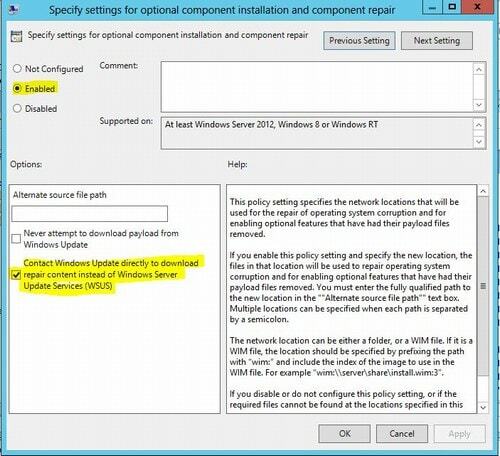 In the Options section, activate the Contact Windows Update directly to download repair content instead of WSUS check box. Click File, Exit to leave the Console. When asked Save console settings to Console1?, click No. If your Windows operating system is 64-bit, return to the SAS Deployment Wizard and click Retry to allow the installation of .NET Framework 3.5 to complete. Otherwise, continue with SAS Note 50674: "The SAS® 9.3 installation process fails to enable .NET Framework 3.5 SP1 for 32-bit Microsoft Windows 8 and 32-bit Microsoft Windows Server 2012."